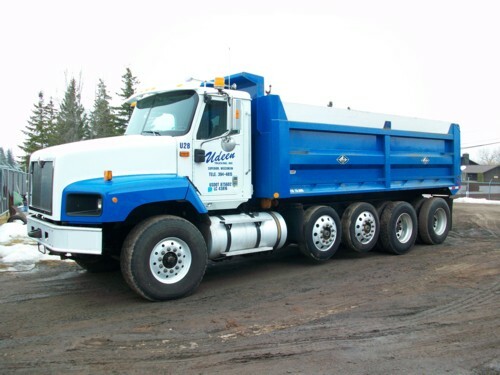 For more than 50 years Udeen Trucking, Inc. has been serving northern Wis consin and Minnesota with trucking and excavating services. We are a family-owned business that values integrity, honesty, and hard work. As a diversified company we provide services to commercial, residential, and private companies. Since many of our services and products are replicates of other companies in the region, we have taken initiatives to put our services and products above the rest. Our mission: Our goal is to provide the highest level of services, the broadest selection of products and the most competitive prices. We will provide solutions to your problems with efficiency and accuracy! Our vision: First choice, Best choice. We will be the supplier of choice. In recent years our growth is related to meeting our vision and mission beliefs. This is a result of putting our customers first and delivering top-notch services, products, and customer satisfaction. Through our state-of-the-art distribution facility, we will provide supplies and services with efficiency and accuracy. Udeen Trucking, Inc. is certified with the Wisconsin DOT and Minnesota DOT as a Disadvantaged Business Enterprise (DBE) and as a Woman-Business Enterprise (WBE). 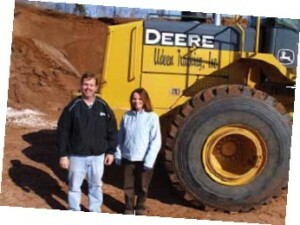 Click below to read about Udeen Trucking, featured in the Nortrax Customer Spotlight.